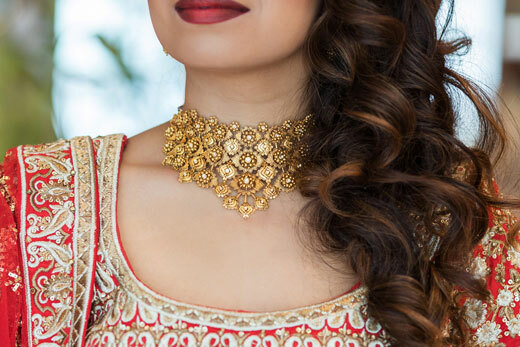 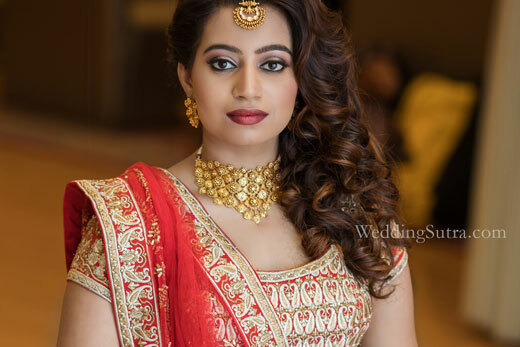 Alongside all the polki brilliance was a handcrafted choker of sculptural blooms showcased on bride to be, Meghna. 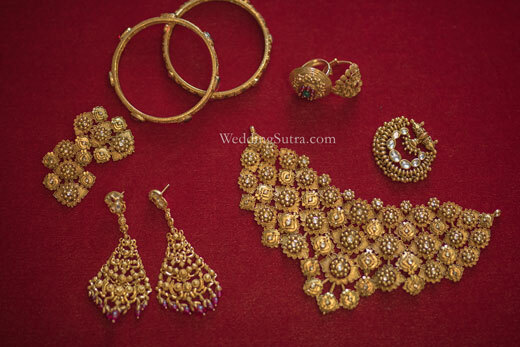 Her orange lehenga and yesteryear, swept aside curls complimented the 22karat gold masterpiece. 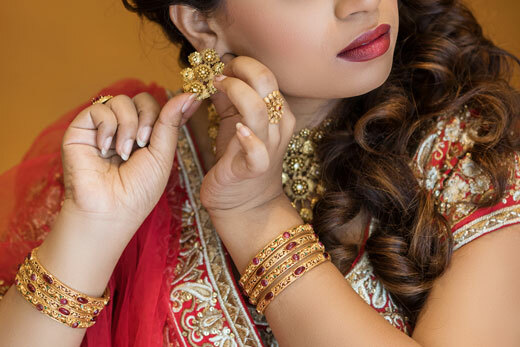 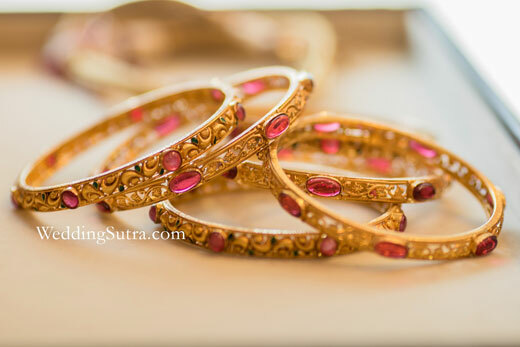 Replete with a stack of chased bangles, studded with coloured stones and granules of gold on a dainty maangtika, the look was all about embracing the glamour in all its bridal glory.